Products include PowerPoint Files on a CD and Thumbdrive, Instructor’s Manual, and student Book. Lessons consist of 12 lessons with four parts – A – D and a review and a test. The Student Book pages correspond with the CD and/or Thumb Drive of PDF’s. The pages correspond with the lessons. There are lesson reviews for each lesson. There are several different ways to teach this program. I was provided with an Instructor’s Manual, a DVD, and Thumb Drive. The Thumb Drive and DVD have slides that walk through each part of the lesson. For instance, on Lesson 1, there are 41 screens. One can sit through with the student book and work through the screens. These slides work through all four days. Word for word, what you need to teach Greek. If your student is old enough, the slides can be student navigated. These played on Powerpoint on my computer. A second folder on the thumb drives has the review – Here is an example from lesson 1. 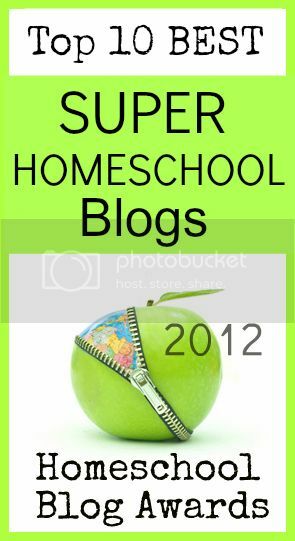 1 – Background, Introduction, and Lesson Plan – It also has cute graphics to use for Bulletin Boards for home, or perfect for a co-op classroom. 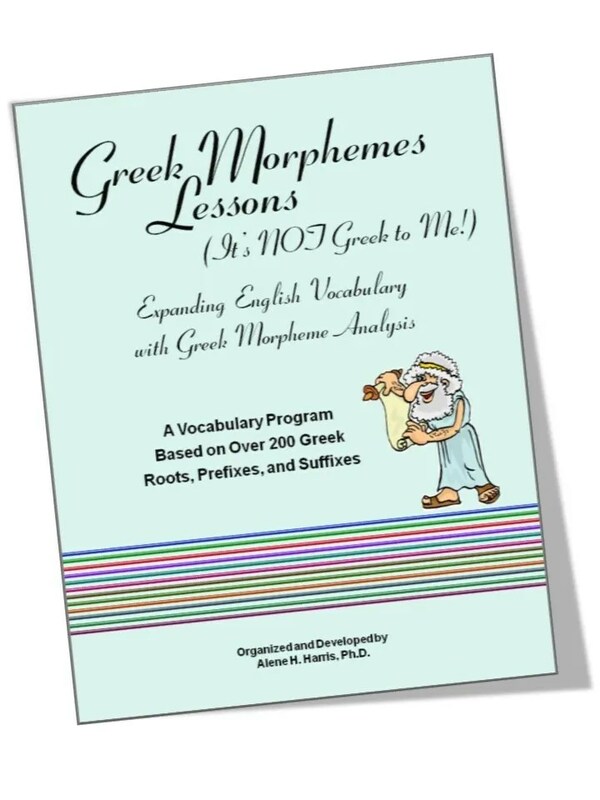 2 – Greek Morphemes Lessons – This has the answers and word keys for each lesson. 3 – Transparency Masters – These could help you with a class – to pull them through each lesson. We used these the most – since often we are away from home while we worked on the words. 4 – Review Activities – These hold the answers to the reviews. 5 – Tests and Answer Keys – Are just that – worksheets for tests. The student writes down the Greek morphemes, the meaning of each, and definition. They also provide a grading chart to help you know what to assign. In the back of the book are cards to cut out for each word. We really enjoyed these – a simple thing to carry in a little baggie on the run. We reviewed them often, had them out on tables, scattered them on the floor, and referred to them daily. The lessons are set up so that you can do them with one child, or a group. We looked through the slides of the power point lesson to see what Jon and I (I did it too) already knew. Next we worked through parts A and B (half and half of the word lists). Example – Aphonic; A=not;without; phon=sound; ic=Noun adj, so we could assume that it is something without sound. Learning to decode these words was pretty fun. We are a puzzle type of a family. Over the next few days, you just keep working through the student pages, and the word lists. On the 4th day, review some more! You can use the lil blank cards in the lesson to hand write out the words, greek/english. The last day is the final review and test. As you can imagine, the review and test on Friday just cements how far you’ve gone with the recognition and understanding of these words! There is a handy chart on page 8 of the instructor’s manual that spells out what to don on each day – Monday through Friday – Day 1-Day5. The pages of our books are filled with sand and covered with muddy dog prints. Sorry. We kept it in the car. Although – I truly believe- that the Power Point pieces are amazing, we’ve been studying Greek and Latin for quite a few years. It was simple to sit on a ledge at the beach and verbally walk through the lessons. The cool part – is that if ‘Greek is Greek to you’ then they have more than enough tools in this system for a total beginner to simply trust the resources, start on day one, and walk through it. My advice is to walk through the first lesson – exactly as given – then tailor it to your skill set, your goals, the number of students you are teaching – and your time. It took us longer than one week to get through one lesson. It is pretty intense. If you do it all. Once we got the hang of the goals of the program, as mentioned earlier – we free styled the student workbook and had the instructor guide with it at all times. Vocabulary has been as important to our family as multiplication tables. Something that should be intentional on a daily basis. How does one work through the SAT words? How do you stretch your vocabulary beyond Netflix Menus and FB Game descriptions. ha. Learn to take apart words – Prefixes, suffixes, root words. Even being able to identify that a word is made up of many parts that can be decoded. If a student can figure out that the prefix shows against or not – then they can pull out the definition easier. A valuable skill for life. 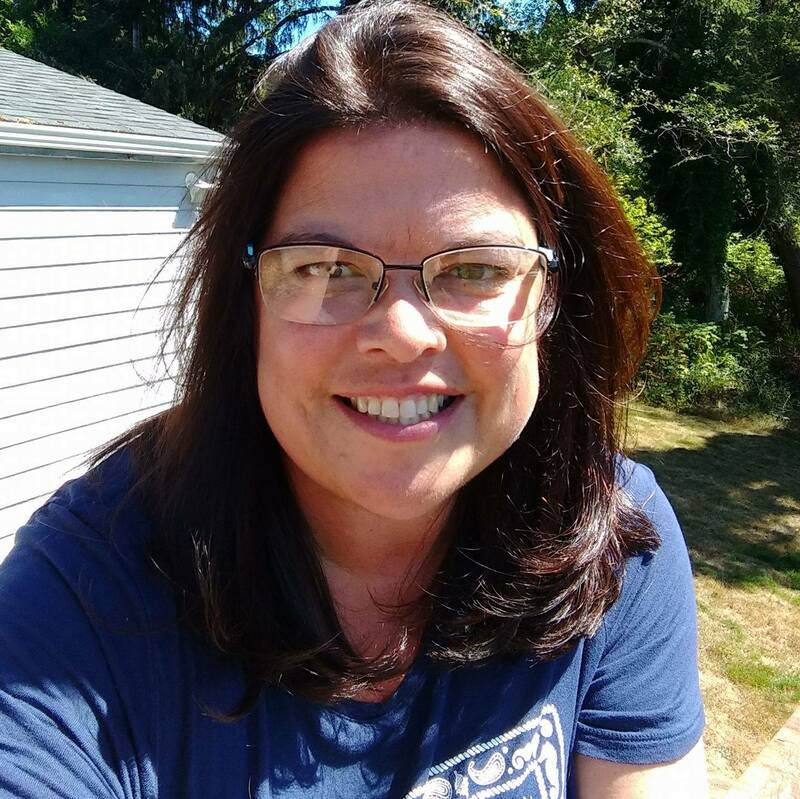 This entry was posted in Language, Reviews, Schoolhouse Crew and tagged greek, hsreview, hsreviews, SAT, Vocabulary, word roots. Bookmark the permalink.